My experience at the Peace Architect* training taught me one of the most beautiful laws of happiness that goes beyond the beneficiary of happiness of oneself. Detached from the fast material aspects of the world, the environment that gave me time with myself was enough to bring back the natural self in me through concentration, contentment and living in the present. The beautiful nation of Thailand gave me a tool that helped me be myself and stay happy naturally. Three weeks of mindfulness and meditation training were a miracle to realise and appreciate how human beings, as natural as they are, can discover the meaning of life through living with the present and moving with what is available instead of things and wishes of what should be available even if it’s not necessary for our essentials. At times, we can be happy if we just stay calm and witness events as they unfold. This is one of the lessons that I learnt in the peace architect training that I would be willing to share with others. Living in a very fast moving world, we are often tempted to participate even on those matters that do not concern us or that will bring no positive outcome even to those involved. I witnessed the beauty of the nature at Himawan, the calmness of the monks, the friendliness of all international participants, the kindness and love of the Peace Revolution stuff. All these observations were made possible by the spirit of observation and witnessing as events unfolded. If we are calm and observant, we are able to observe the goodness of others. Once we realise that, we respect them and share good memories with them. At times in life we put extra effort only to realise later that not everything needs urgency and power, and at times nothing needs to be done; just be a witness, and observe a watcher. Meditation is witnessing! The environment at the meditation and training retreat in Himawan was designed in a way that tests our willpower and endurance to do good. I would say that the willpower is the work with the mind and if the mind is not prepared or is not clear enough to stay focused and concentrate on one mission at a time, our willpower is prone to destruction. The experience gave me the willpower to work harder in every situation that arises and always remind myself that our ultimate goal was and still is to spread loving kindness and educate the world on sustainable peace, to share how to use meditation as a tool for self-development. 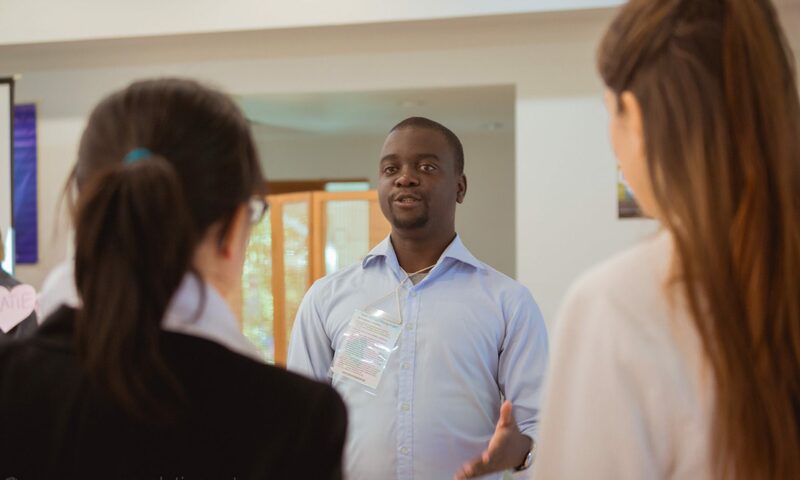 The presence of different people from different parts of the world made me realise that the achievement of sustainable peace is very much possible if like minded beings come together, share experiences and strategies to implore in different parts of the world, in different contexts. Brought together by the quest to make a world commitment towards peace, the power of collective brilliance came into play through moments of meditation and knowledge sharing. One of the precious gifts that comes with living in the moment, having time alone and with your mind focused is a possibility to rediscover oneself through inner peace and happiness. Continuous inner peace time does not only help us be peaceful but also make us discover the purpose of our life through deeper insight and meditation. This goes further to the understanding of others through our deeds and a way of life, and interaction with the universe. *Peace Revolution Mindfulness and Meditation Instructor a.k.a Peace Architect is the designer of the ‘building plans’ for world peace, which is constructed on the firm foundation of inner peace. Peace Architect will devote him/herself to restore balance and harmony to human society, environment and the world. 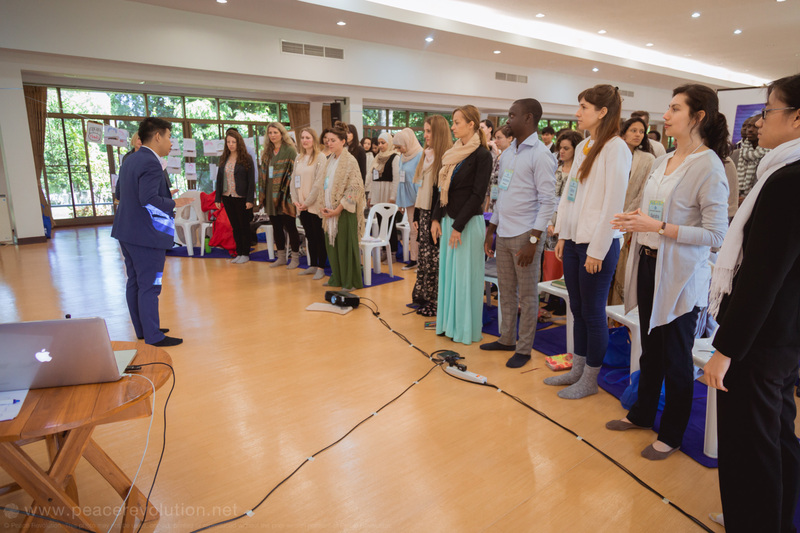 They are qualified to guide basic Dhammakaya meditation for beginners as well as present, design, and operate peace-building (PIPO) events and workshops.